About $6,500. We advise you to fill our online estimate form for the latest prices and specials. To qualify for MGB in PVR with BSW, candidates need to have BMI of 35 or more. Final decision on qualifications would be based on the doctor’s examination of the candidate’s medical questionnaire. BSW provides free pick-up from the Puerto Vallarta International Airport. Puerto Vallarta is well connected with American and Canadian cities via air. PVR, as the city is called by Americans after its IATA airport code, is a favorite Spring-Break destination. So you will find the city to be quite Americanized. Geographical proximity to the United States. Negligible or no waiting time. Learn more on this network hospital here. A very competent and highly experienced bariatric surgeon. We have consciously networked with the best names in the field of bariatric surgery to ensure our customers get the best level of patient care rivaling that in the United States. We have enlisted the credentials of one of our network weight loss surgeons for affordable mini gastric bypass in Vallarta here. 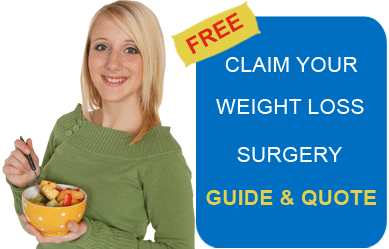 For more details on our network weight loss surgeons in Vallarta, click on the hyperlink. Mini gastric bypass is a simpler version of a traditional Roux-en-Y bypass. The surgery, performed laparoscopically, involves formation of stomach into a narrow tube. This narrow tube is then attached to the small intestine six feet from the point it begins. As a result, ingested food is able to bypass the highly absorptive portion of the small intestine. One key advantage of the surgery is that it is reversible. You will have to discontinue caffeinated drinks and tobacco products two weeks before your surgery. Stop taking aspirin and other drugs such as Ibuprofen and naproxen. Eat light (clear liquids) in small portions for two days prior to your surgery. Smoking, chewing, eating or drinking after the midnight which precedes your surgery is a strict no-no. Make sure you have a friend or a family member to stay with you for at least 24 hours after your surgery. After your surgery, you will have to drink plenty of water and other beverages to replace the lost fluids. For about 10-14 days after your surgery, you will be put on a liquid diet comprising fruit and vegetable juices, V8 and Gatorade. Eat yoghurt to promote good gut health, and also because it is packed with protein and calcium. Two weeks after your surgery, you will be able to transition to pureed and mashed foods. You will be able to graduate to “normal” foods (excluding tough red meats and bread which you will find hard to digest) after about eight weeks. Learn more on Puerto Vallarta as a destination for your mini gastric bypass surgery here. Submit the free quote-request form on the right for more information.